Click the image for the entire article. HSOT - WRAL TV5 was at the GCHS game last night (Jan. 22, 2019) versus Vance County as they battled them for first place in the conference. 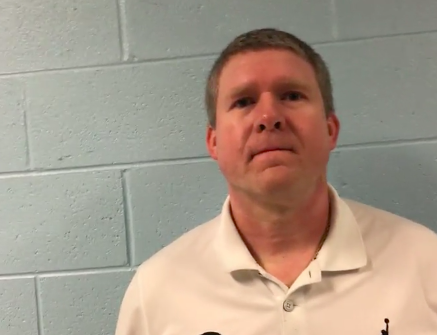 High School OT captured some great highlights, as well as a couple of great interviews with Terence Harcum & Jamari Mann as well as the Assistant Coach Gregg George. 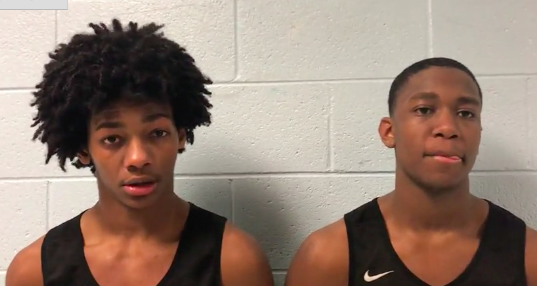 HSOT also wrote a great article to go along with the interviews and highlights. 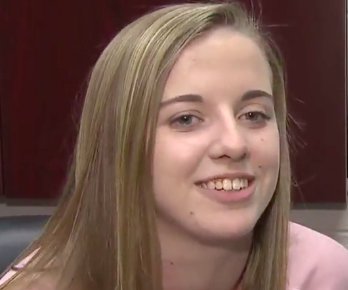 Check out these great video clips from WRAL Sports about our GCPS Panthers Basketball team! Big shout out to Coach McDaniel and our student athletes! 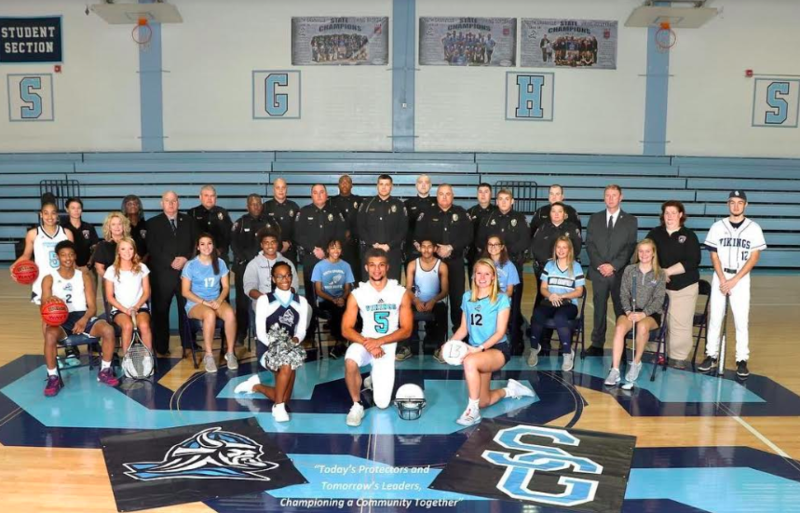 The Creedmoor Police Department partnered with the SGHS Athletics to create the Creedmoor Police Department 2019 Calendar. 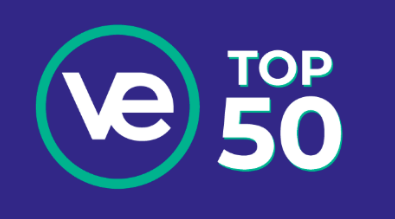 Right now VEI is introducing the preliminary rankings for the Top 50 List. This list represents the top 10% of firms in the Country. Mr. Mark Jones, Granville County VEI Coordinator, announced that every school in Granville County has a firm on the list!! 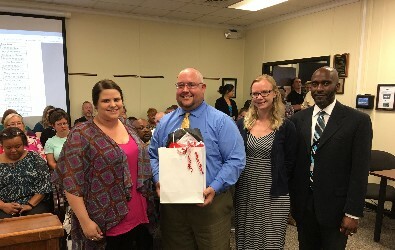 Mr. Jones states, "I know that as a teacher of VE for the last 8 years, it is extremely difficult to keep up with all the items that must be completed to run a business. In addition to all of the tasks to be completed, each year VEI adds more to it. To me that makes this accomplishment all the more impressive. 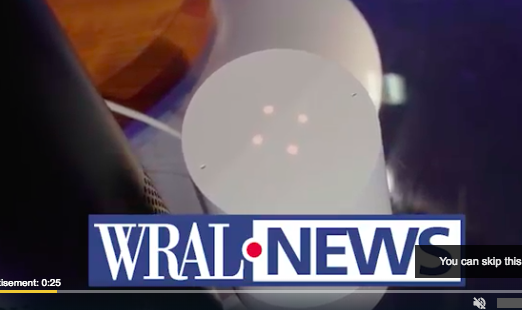 While we will continue to strive to have ALL firms in Granville County on that list, right now this is extremely impressive." The link to the initial Top 50 is included here and is accessible by clicking on the image below to you can see it for yourself! In order to be considered on this initial list firms must have completed all of the following and more. Access this link to apply! 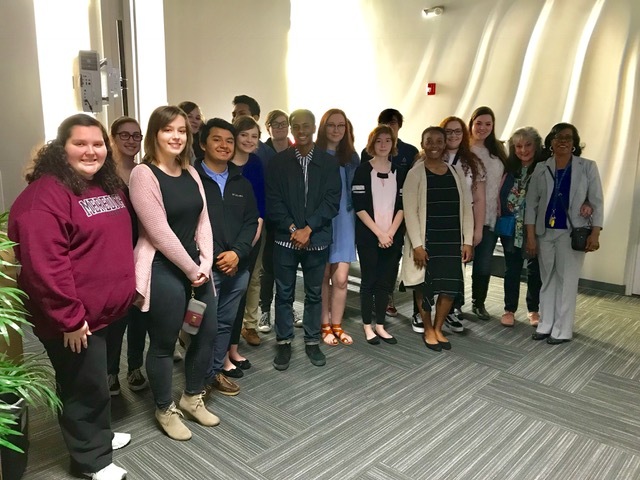 The Granville County Sheriff’s Office, in partnership with Granville County Public Schools, US Army National Guard, Boy Scouts of America are proud to announce the 2019 Teen Law Academy. 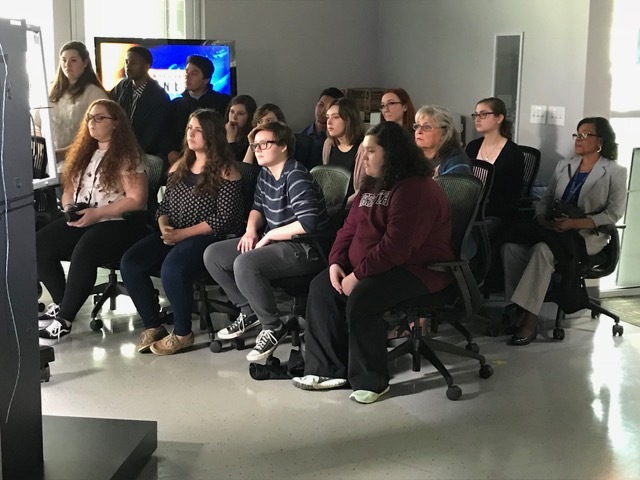 This free, live-in cutting edge academy is geared toward teens from 15-19 years’ old who are interested in Law Enforcement, US Military, Criminal Justice System or Public Service Careers. Participating students will engage in classroom and hands on law enforcement activities that expose them to the rigors and demands facing todays law enforcement officers. 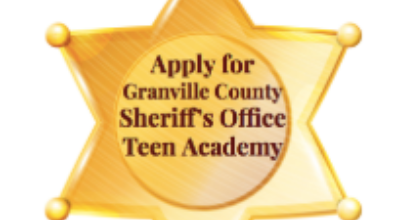 We are very excited about your participation in the 2019 Granville County Sheriff’s Office Teen Law Academy. 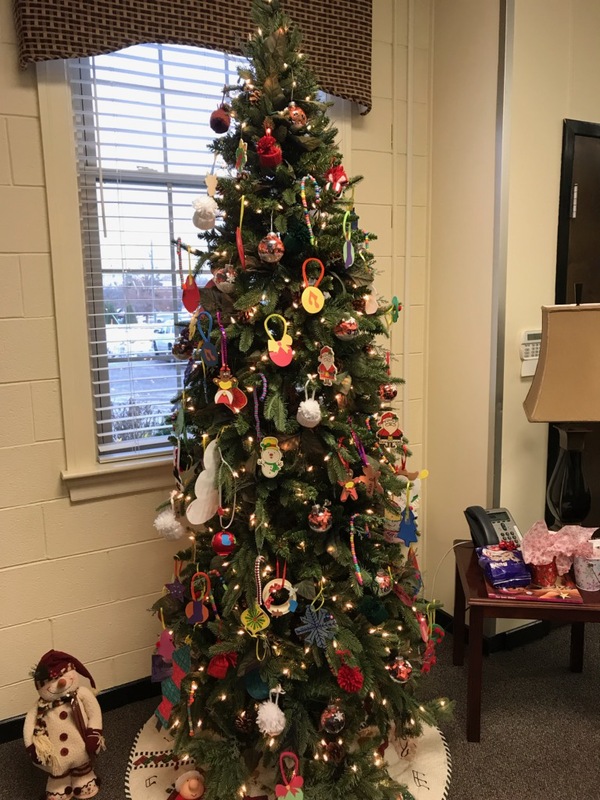 Should you have any questions or need additional information, please feel free to contact your school counselor or Deputy R. Christensen Randy.Christense@granvillecounty.org or by phone 919-690-0360. 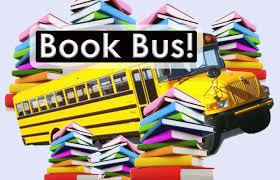 You can also contact C.Currin at currinc@gps.k12.nc.us or by phone at 919-691-9161. We look forward to seeing you at this exciting, once in a lifetime Teen Law Enforcement Academy. Dylan Beckwith, age 22, is the son of Karith Bishop and Leroy Beckwith. He grew up in Durham, NC and Columbus, GA before finding his home in Oxford, NC. He graduated from Granville Central High School in 2014. Dylan played football in high school and is currently coaching a high school team which he loves more as a hobby versus a side job. After high school graduation Dylan participated in the NC Triangle Apprenticeship Program at Schunk in Morrisville, NC. During his 4 year apprenticeship he attended Wake Technical Community College and earned an Associates degree: Applied Science in Mechanical Engineering Technology. Apprentices work 32 hours a week and attend the community college one day a week. They get paid for 40 hours which allows them to get paid while they go to school. Their education is paid for as well so they earn a degree debt free. NCTAP.org and the apprenticeship program is an opportunity to be considered by students and parents as they explore post secondary education and career readiness. 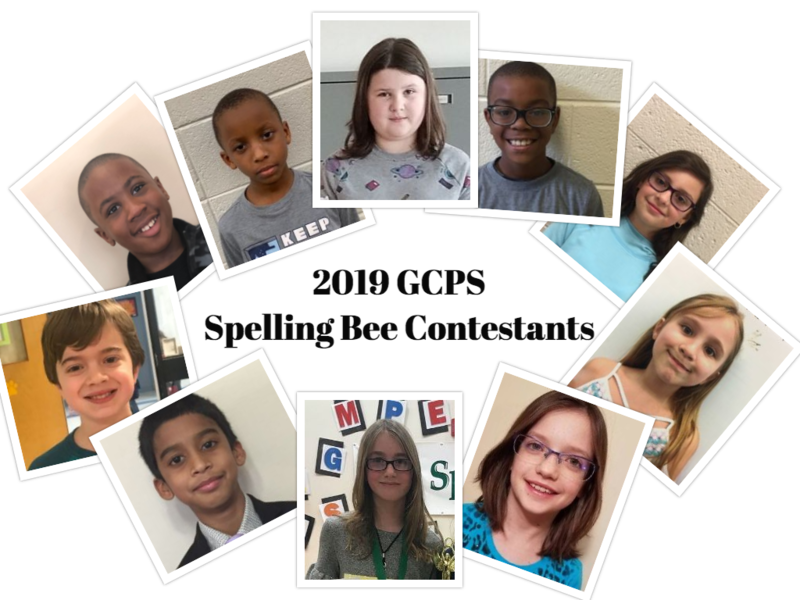 Click here for more information about the 2019 Spelling Bee! 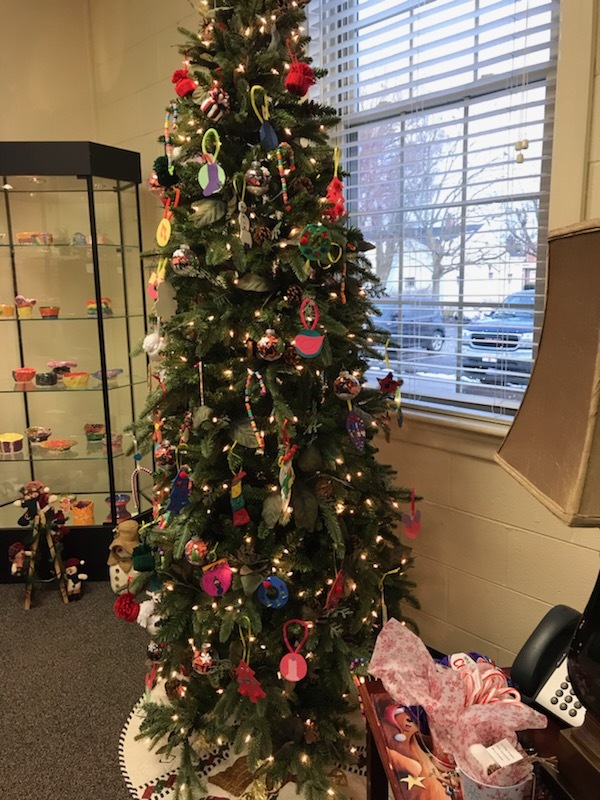 This is the Central Office tree that has been decorated with handmade ornaments made by our After School students. Happy Holidays! 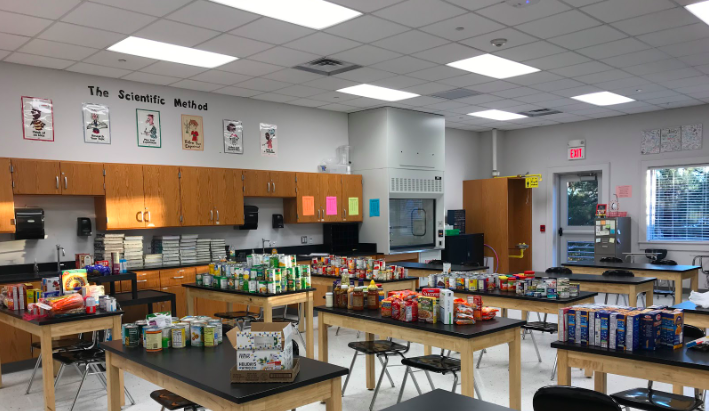 GECHS students serving community needs. We took care of a student at our school for the holiday and days out of school. Arrangements are being made for Mr. Richardson and First Baptist Church food bank to collect. Click on the image for more pictures! Beginning in May, anyone who eats at the SUBWAY restaurant located in Creedmoor will help with funds donated to our child nutrition program. Every Monday and Wednesday from 4 -7 pm SUBWAY will donate 10% of sales to a fund that assists in paying overdue breakfast and lunch balances. 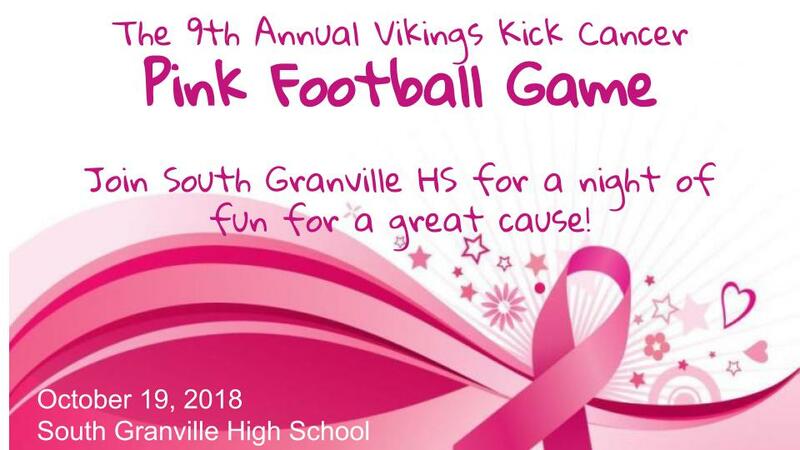 So, be sure to come out and support our children! 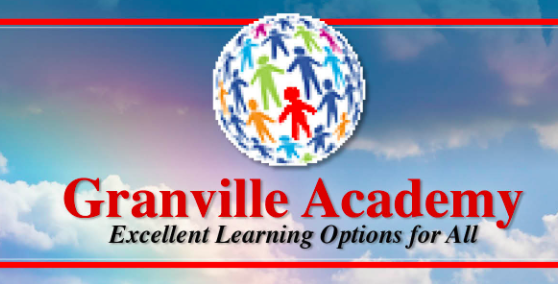 Register your student for the NEW Granville Academy up until June 30th! Year Round Schools are Coming to GCPS! During this past fall, Superintendent Dr. Alisa McLean conducted a series of Kitchen Table Conversations held throughout the county. During this time, we repeatedly heard a desire for a CHOICE of Year-Round Schools for our students. Each of these schools would operate with 2 separate calendars: one group of students on a traditional calendar, and one on a year-round schedule. 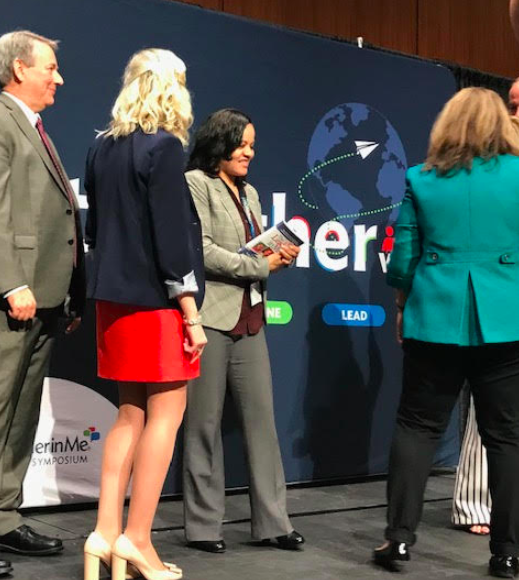 In addition, these schools will identify thematic programs of instruction, including the possibility of Global Academies, and STEAM (Science, Technology, Engineering, Arts and Math) Programs. As part of the next step in the process, we invite you to complete an interest survey about Year-Round schools. 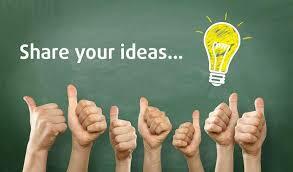 Your opinions and ideas will help us plan next steps. We are excited to launch a new service for all of our families who have students that ride our buses. The "Here Comes the Bus" mobile app is now available for all bus riders! This app is free, easy to use and will tell you in real time exactly where your child's bus is located. This will be a super convenient way to know when and where your child's bus will be at all times. 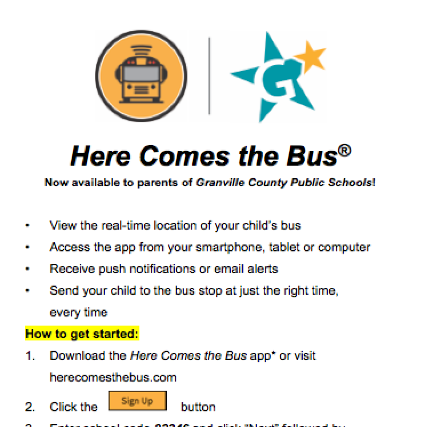 It will also send you notifications and emails when the bus arrives at your child's stop and at his or her school. To download the app, please reference the directions found HERE. You can download the free app and be using it in no time at all! We hope you find value in this new service. It is just one more way we are working to make sure all of our children are safe and that you feel supported in your child's education. 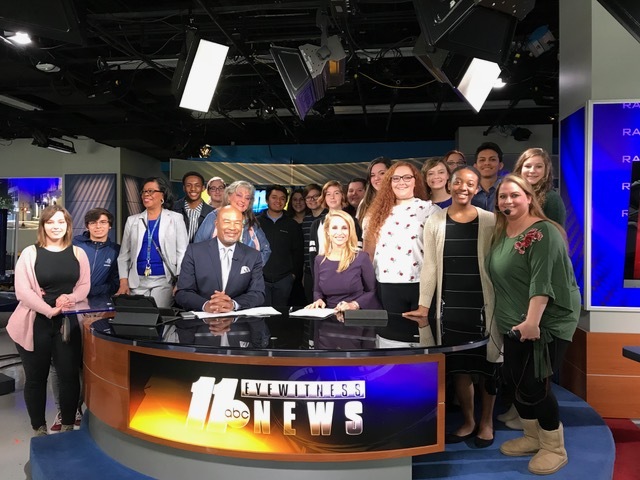 South Granville High School yearbook students visit ABC 11 Studios! 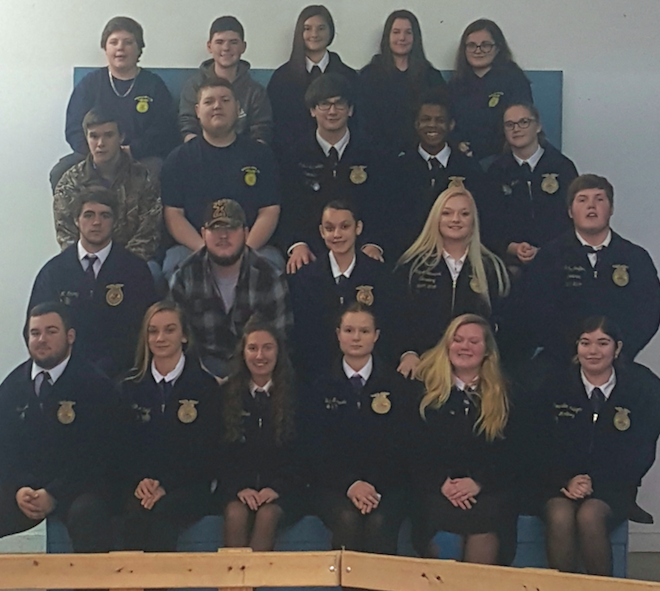 The J. F. Webb FFA Chapter had a great day at the East Central Region FFA Rally held at Johnston Community College in Smithfield on Friday, April 20, 2018! Members received plaques and trophies for previously held events, events held that day, and were appointed to leadership positions. 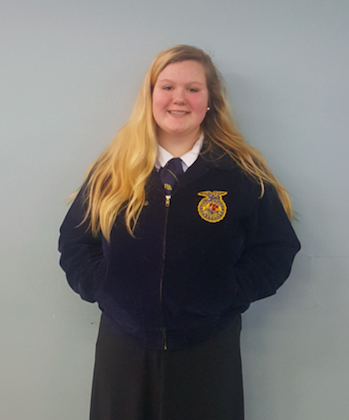 A number of J. F. Webb FFA members earned trophies and plaques for previously held events. 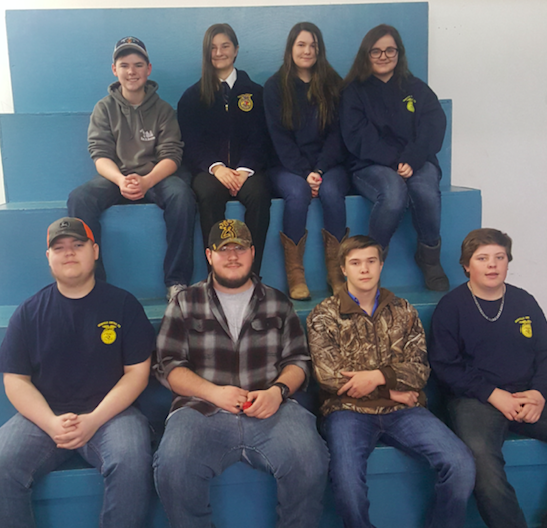 J. F. Webb Junior Land Judging team members Nolan Ellington, Colin Ellington, Daniel Blackwell, and Megan Milton placed first in the region and fifth in the state. Nolan was high scoring individual for the region. Senior Land Judging team members Curtis Murphy, Jeffrey Salisbury, Allen Yancey, and Erin Whitt placed first in the region and first in the state. Curtis was high scoring individual in the region and state. The Senior Land Judging team competes at Nationals in Oklahoma on May 3. 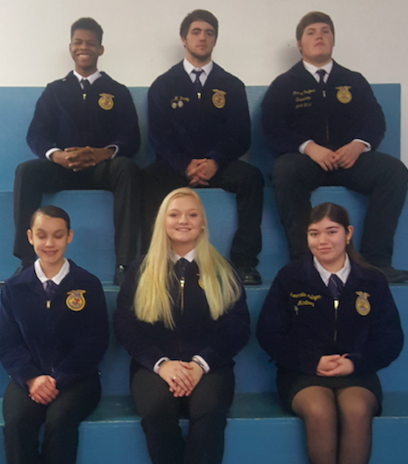 Junior Farm Business Management team members Jocelyn Pelcastre-Gonzalez, Nolan Ellington, Colin Ellington, and Daniel Honeycutt placed first in the region and third in the state. Jocelyn was second high individual in the region and state. Senior Farm Business Management team members Curtis Murphy, Allen Yancey, Erin Whitt, and Jeffrey Salisbury placed first in the region and second in the state. Curtis was high scoring individual in the region and the state. Curtis Murphy also received a trophy for earning third place in the region for the Truck Driving Career Development Event. J. F. Webb competed in five events on Rally day. Agricultural Mechanics team members Curtis Murphy, Jeffrey Salisbury, Samuel Bigger, Joshua Glasscock, CJ Bass and Trevor Jones placed 4th in the region and Curtis was 2nd high scorer for the region. Curtis qualifies to compete at the state level. 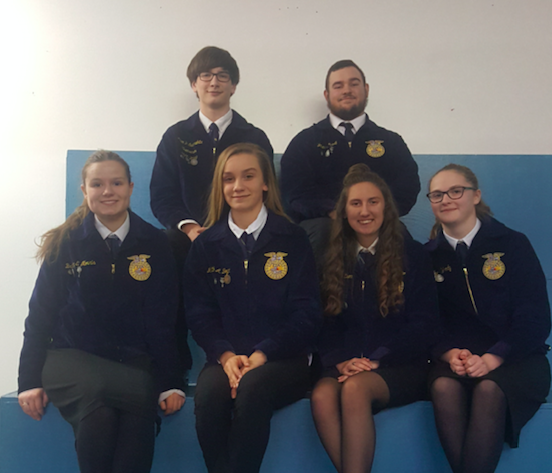 Forestry team members Alexis Hayes, Anna Currin, Daniel Honeycutt and Justin Hite placed 5th in the region with Anna earning 3rd high individual for the region and the opportunity to compete at the state level. 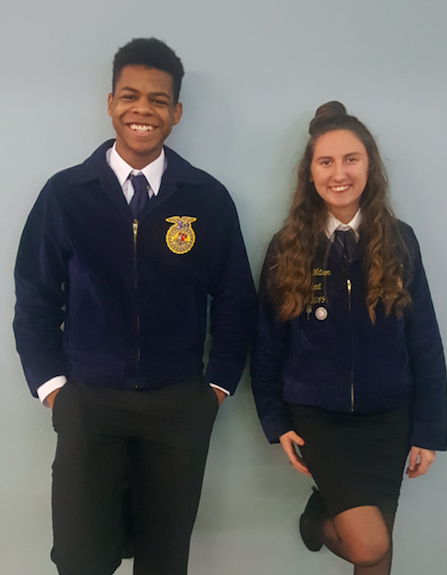 Introduction to Horticulture team members Maria Tomas, Neftali Santamaria, Taylor Stovall, Alyssa Rash, Isaac Govea-Hernandez, and Morgan Ramsey placed 6th in the region with Neftali earning the team high score. 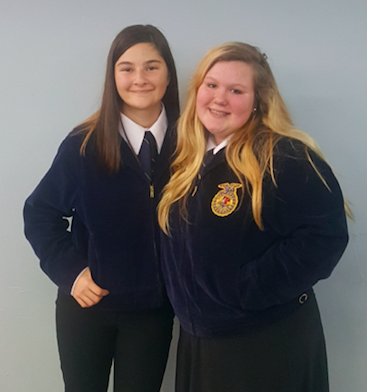 Floriculture team members Erin Whitt, Jocelyn Pelcastre-Gonzalez, Ashley Elliott, Quincy Anderson, Rebecca Causey and Kadee Thomas placed first in the region with Erin earning high score for the region. The Floriculture team advances to the state convention in June. Nursery Landscape Team members Jay Puckett, Andrew Keeton, Allen Yancey, and Brooke Bowman placed first in the region and Jay earned the high score for the region. The Nursery Landscape team also advances to the state convention in June. Curtis Murphy retired from his position as a regional officer and Allen Yancey was elected to serve as East Central Region Vice President at the Reporter’s station for the 2018/19 school year. Mark your calendars for the J. F. Webb FFA Banquet to be held at J. F. Webb High School on Friday, May 18. Contact J. F. Webb FFA Advisors, Brantley and Teresa Murphy for more information about J. F. Webb FFA. 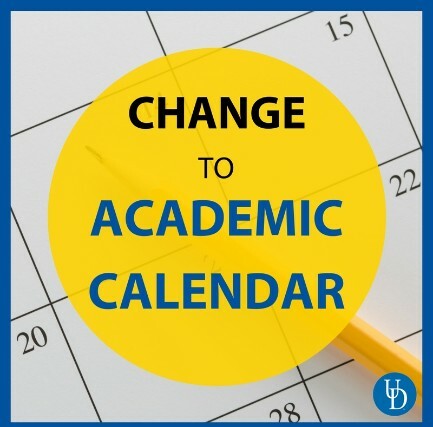 This is an important message about calendar changes due to inclement weather. The Board of Education will finalize official changes to make up lost instructional time at their regular meeting on February 5. However, we can plan for three changes to our schedule as of today. Last Monday January 22 was changed from a teacher workday to a full day for all students. Thursday, February 1 was scheduled as an early release day for all schools, but will now be a full day for all students. And Tuesday, February 6 was scheduled for an early release day for elementary schools, but will now be a full day for all students. These three changes will help make up some of the lost instructional time, but additional changes will be proposed and announced following the February 5 Board of Education meeting. Thank you. 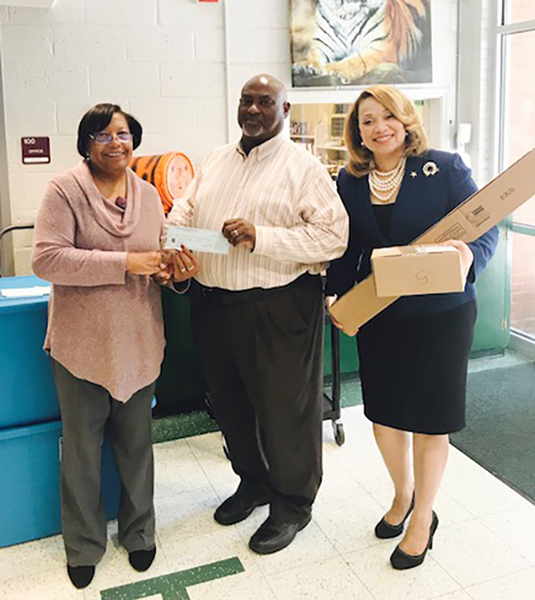 Mrs. Ethel Anderson presented school supplies and a financial donation to Mike Allen, principal of Joe Toler-Oak Hill ES, on behalf of New Jonathan Creek Missionary Baptist Church this morning. The Granville County Board of Education is pleased to announce the selection and appointment of Dr. Alisa McLean as the next superintendent of the Granville County Public Schools (GCPS). Dr. McLean will take office on July 19. During the search process, the board carefully reviewed applications from a diverse field of 46 excellent candidates. 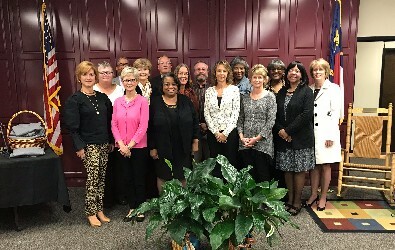 Although many qualified candidates applied, the board felt that Dr. McLean’s leadership, experience, and dedication to students would best serve GCPS students, staff, and the community for years to come. The board is confident that Dr. McLean will lead the school system to even higher achievement. Dr. McLean has enjoyed a successful career in public education spanning over 20 years in North Carolina. Since 2016, she has served as the assistant superintendent for teaching, learning, and leadership for the Durham Public Schools. Prior to her current position, Dr. McLean served as an area superintendent for the Durham Public Schools (2014-2016). 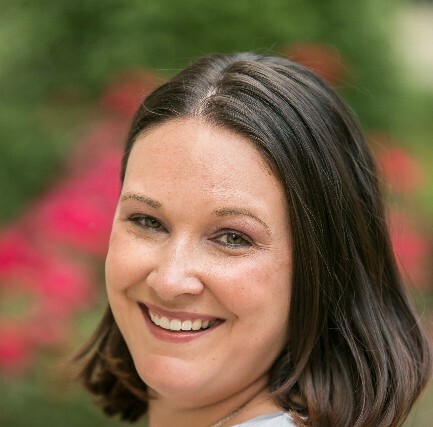 Dr. McLean also previously served as a school transformation coach with the N.C. Department of Public Instruction (2011-2014) and as an assistant superintendent in the Alamance-Burlington School System (2009-2011). She began her career in public education as an assistant principal and principal in Roxboro and Hillsborough, North Carolina. Dr. McLean has an impressive academic background as well, including a bachelor’s degree in English education from Elizabeth City State University. 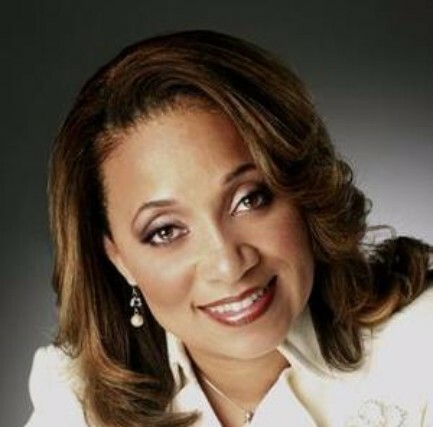 She went on to obtain a master’s degree in educational administration and supervision from East Carolina University and a doctorate in educational leadership from the University of North Carolina at Chapel Hill. She also participated in and later served as a consultant and assistant director for the Principals’ Executive Program at the University of North Carolina at Chapel Hill. "I am both, excited and honored to join the Granville County Public Schools family and community. Together, I know we will accomplish great things and surpass expectations for all of our students. I truly believe the best is yet to come!" Please join the board in welcoming Dr. Alisa McLean as the new superintendent of the Granville County Public Schools. 2017-2018 POY from granville early college! Veteran administrator Jackie Harris receives top honors for Granville County Public Schools. 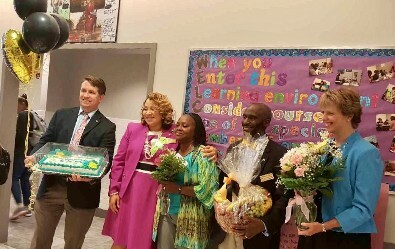 On the morning of Thursday, September 14, Superintendent Alisa McLean and senior staff made a surprise visit to Granville Early College High School. It was a secret visit of sorts, except for the fact that all of the students and staff knew about the occasion, except one. An unwitting participant, Principal Jackie Harris had been summoned to her office to have a meeting with Dr. McLean. Meanwhile, students and staff gathered in the hallway, preparing to surprise their school’s leader. With an abrupt knock at the door, Ms. Harris was told to quickly respond to an important incident. 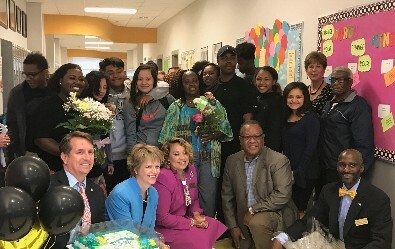 Her administrative instincts flung her into action, where she was then promptly startled and surprised by a throng of her students and teachers – all congratulating her for being named the Granville County Public Schools 2017 Principal of the Year! Ms. Harris is a veteran educator with more than 26 years of experience, having worked as a teacher, assistant principal, and principal. She received her undergraduate degree from NCCU and her Master’s degree from NC State University. 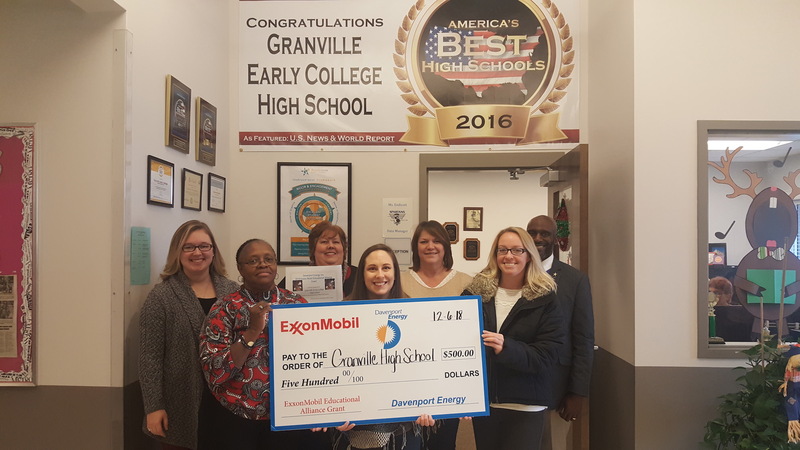 During her tenure as principal of Granville Early College, the school has consistently set the bar high on state testing criteria. Currently student performance ranks the school letter grade as an “A”, with more than 95% of the students graduating on time. School districts from across the state choose a Principal of the Year. 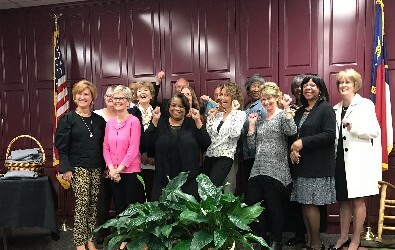 Principals nominate their colleagues for the honor, and a committee then makes the final decision. District POYs then go on to compete at the regional level, where the winner progresses on to the state level, and eventually the national competition. Honored at the CTE Summer Conference for leadership! 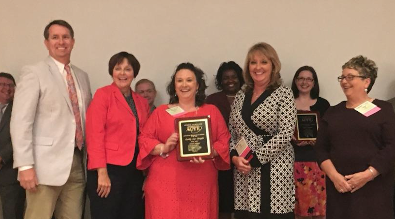 At a special luncheon ceremony during the annual CTE Conference held at the Greensboro Kourey Convention Center, one of our own was recognized for her outstanding leadership and commitment to excellence in serving children. 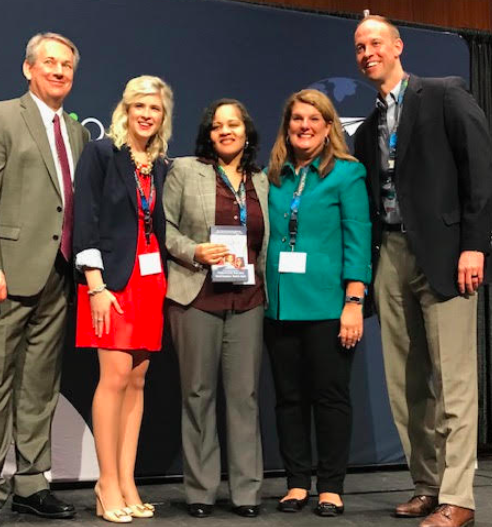 Emily Sue Temple was singled out among 19 of her peers across the NC Central Region to be named Regional IMC of the Year. 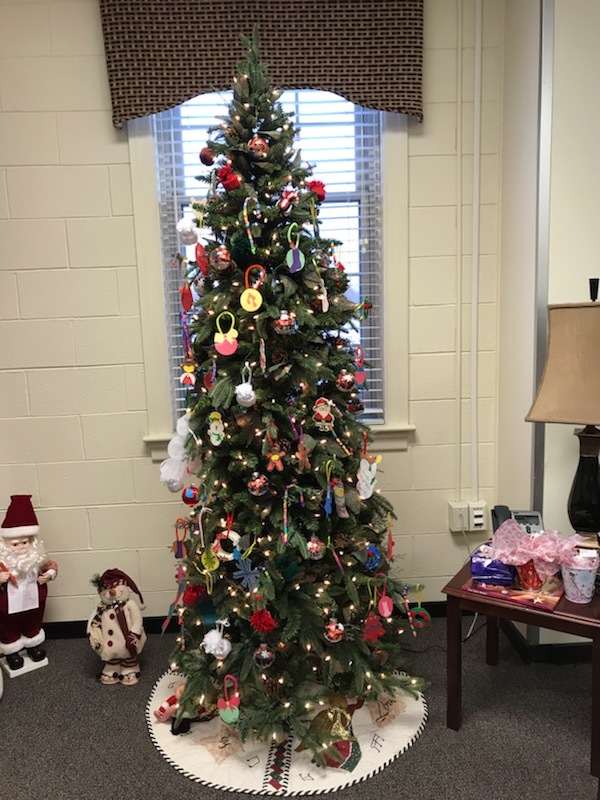 Emily Sue serves as the Instructional Management Coordinator (IMC) for Career and Technical Education (CTE) in Granville County Public Schools. This position carries huge responsibilities, including the administration of more than 4000 state tests each year, the dissemination and coordination of curriculum materials to more than 40 teachers, coordination between business and industry to support instruction and work-based learning, and the design and implementation of staff development for all CTE teachers. Before becoming an IMC, she had classroom experience as a Middle Grades CTE Teacher in Agricultural Education. She has been an IMC for 6 years, serving recently as the co-chair for the Central Region and has accepted the position of chairperson. Emily Sue believes in CTE and the experiences and opportunities it affords students on a daily basis in our CTE Classrooms. As an IMC, she is now helping to make the difference in the life of a child, one teacher at a time. Emily Sue earned her Bachelor’s of Science degree in Agricultural and Extension Education and a minor in Animal Science from NC State University. She has also completed the CTE Director Internship course offered through NCDPI. Those who know Emily Sue are fully aware of her unwavering commitment to students. 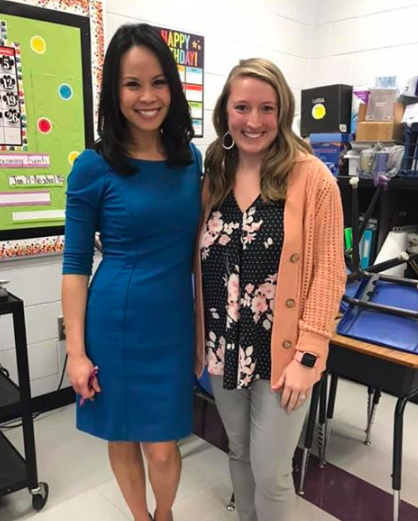 Combined with a strong work ethic, outstanding communication and organization skills, and high expectations for all, Emily Sue embodies what every educator should aspire to be. Congratulations Emily Sue. Don't miss this important opportunity to let your voice be heard. Click in this block to provide feedback. You will be prompted to answer three questions: What should we start? What we should stop? What we should continue? We hope that you can provide your anonymous feedback and share your ideas on helping us be committed to excellence and achievement for all. 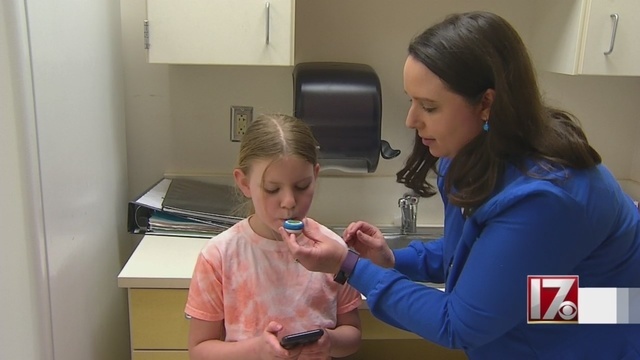 Check out the recent story on WUNC about our kids! 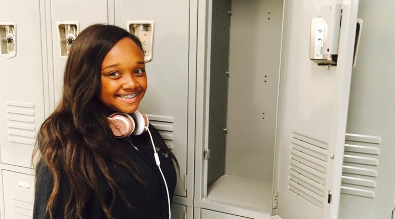 WUNC recently published a great story about how today's students are abandoning their lockers. It's an interesting piece and worth checking out! 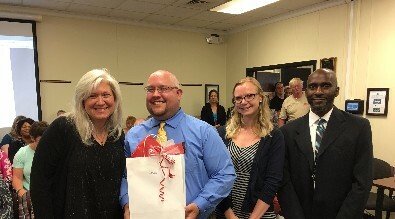 Pictured L-R: Angela Mangum, 2017 Teacher of the Year; David Richardson, Board Member; Alexis Benitez, 2016 Teacher of the Year; Dr. Michael Myrick, Assistant Superintendent. 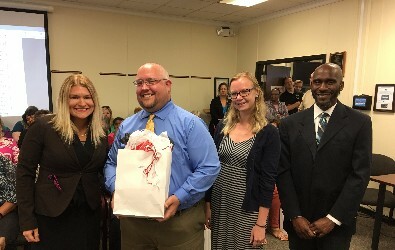 At their regularly scheduled meeting on Monday, May 1, the Granville County Board of Education recognized all 19 Teachers of the Year from their respective schools. 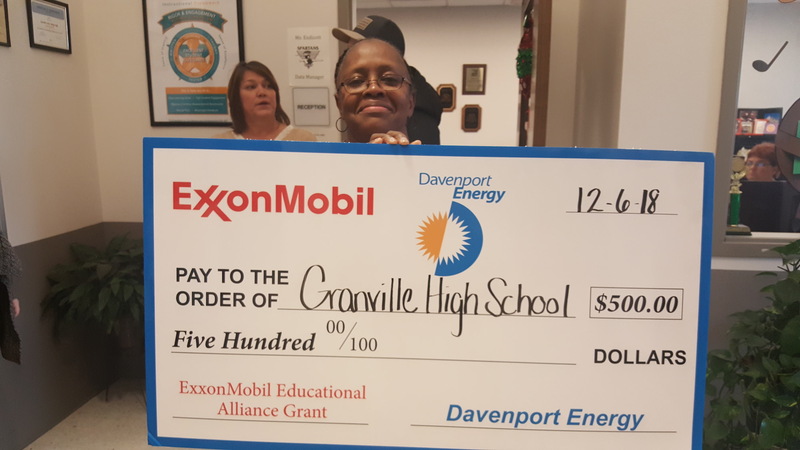 Granville Education Foundation Executive Director, Dori Koinis announced the two runners up and the District Teacher of the Year, and presented monetary awards. First place winner was awarded a check from the Granville Ed Foundation for $1000 and a new Apple iPad; first and second runners-up each received a check for $500. all 19 Teachers of the year! Congratulations and thank you for all you do! And can there be a better place to celebrate the optimists than here with each of you? It is a true honor for me to be before you tonight on such an auspicious occasion. I’d like to thank the Granville Ed Foundation for its sponsorship and support of this evening and our schools, along with Dr. Howard and his staff for taking a leap of faith in asking me to speak to you today, as I believe that there are so many others in the area that are more suited to this task! Not the least of who is any one of you sitting here tonight – waiting to be celebrated – as no one knows better the travails and triumphs of teaching than you. I might admire and celebrate you, but am unlikely to be able to speak to the work that you do day after day, better than any of you could do yourselves! This is the work that you do – you are not only building minds, but you are also saving children and families! Families living in poverty are more likely to be struggling with a variety of issues on a daily basis, so for any community leader, this is a factor in a community’s health. And the poverty rate in the city of Oxford is around 25%. So - about 1 in every 4 people in our city is living in poverty, with fully 17% of our households living on an income of less than $10,000 a year. Thirty-four years ago, in our first house on Hancock St, my husband and I were also in that boat – but it was 1983, not 2017, and we didn’t have kids, so there were only 2 mouths to feed. We were both working, but even so, we still couldn’t pay our oil bill, so we had to turn off the heat in the middle of winter and wear our coats indoors. We still had enough to eat though, and a way to get to work, and a roof over our heads. What are the lives like of the children you teach today whose families are living on $10,000/year? Or the 24% more in Oxford who live on between $10 – 25,000/year? And it is girls, ages 6 – 11 years old, who make up the largest proportion of our people in poverty. For those of you teaching in Oxford, these numbers are your children. 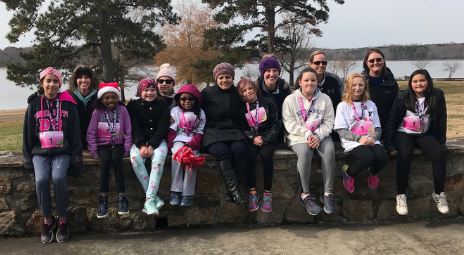 That is why I am a champion for the work that you do – because for Oxford and Granville County to thrive for the next generation, we need to help these children thrive. We all know that people with more years of education tend to have higher incomes and live in healthier and safer environments compared to those with less education. And people with less education are more likely to struggle to find employment that pays a living wage, much less provides benefits like health insurance or paid vacation – you are the keys to opening the door to that future for our children! You are providing the safe haven, you are providing the adult example for at least 1/3 of their day, you are giving them the tools to gather so much knowledge and opportunity that, once learned, they will no longer remember what they didn’t know or couldn’t do, and take much of it for granted. Once we know how to read, can we even imagine, much less remember, what it was like when we couldn’t? You are the KEYS! Work nights and weekends to accomplish the goals you have for your students. For ~10 years or so, Hervé took students overseas every summer; upon his return, he was always sick for a week, because he was just so exhausted from the worry and effort of taking care of everyone. This is who you are, this is what teachers do, and this is why you are being celebrated tonight. Lee Iacocca said, “In a completely rational society, the best of us would be teachers and the rest of us would have to settle for something less.” Every teacher deserves to be celebrated, but tonight we are gathered to celebrate each of you – because you are doing something more – something that has caught the attention of your peers to merit recognition. You are trying something innovative, you are showing your hunger for the work by coming in early or staying late, you are the confidant that the students gravitate towards, you have connected with some incorrigible ones, or you have helped some others master the most complex of concepts. You are the KEYS that these children – our communities’ children – depend upon to open the door to the future they need and deserve. Whether the children you teach are the most or the least of us – they are the future who will inherit the best and the worst of our world, and they are depending on you to unlock the doors of their potential. You are the KEYS that can, and are making, a difference for every child you touch, impacting the households they come from and the communities they live in. 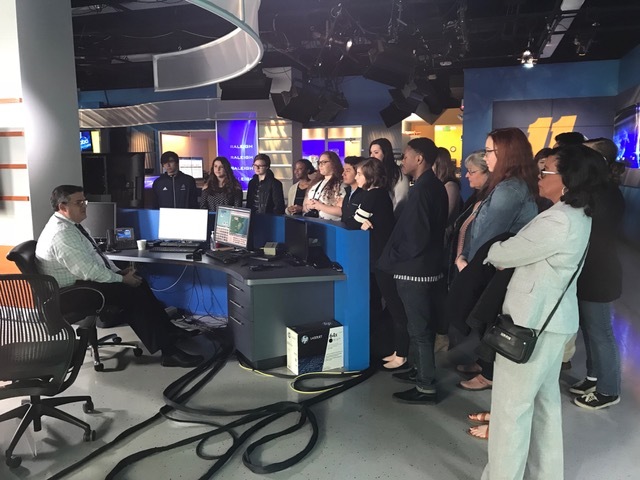 What you do flows to so much more than what you see in your classroom – and we are so fortunate that you have each chosen this most important of professions and to practice it in Granville County. According to author Antoine de Saint-Exupéry, “If you want to build a ship, don’t drum up people together to collect wood, and don’t assign them tasks and work, but rather teach them to long for the endless immensity of the sea.” I am confident that you are the KEYS to opening the doors of longing for your students, and that we are all the beneficiaries of having you here in Granville County with us. I hope that the rest of you here tonight will please join me in saluting our 2017 GC Teachers of the Year. Proficiency, growth on the rise. At their regularly scheduled meeting on Monday, September 11, the Granville County Board of Education received a special report on the student achievement results from the 2016-2017 school year. During this presentation, Assistant Superintendent Dr. Michael Myrick presented a series of graphs and charts providing comprehensive data on how the students performed on state tests. The presentation focused on GCPS test score averages over the past three years compared to state and surrounding district averages. Dr. Myrick also shared information about academic growth measures for each school, and school letter grades as assigned by the state. Data from his presentation revealed an increase in proficiency in 14 of 18 tested areas, with 18 of 19 schools having met or exceeded academic growth. These significant gains in growth and proficiency across grade levels and content areas contribute to a multi-year positive trend for student achievement. The scores for our district were generally higher than those of Vance, Warren and Person counties, and slightly lower or comparable to those for Franklin County. All five districts in our region were at or below the overall state average in all areas. Letter grades for schools in our district improved compared to the previous year, with no schools reporting an F, fewer schools reporting as a D, and more schools reporting as a B.
you always wished you could. for knowing life is good. you’ve been looking forward to. 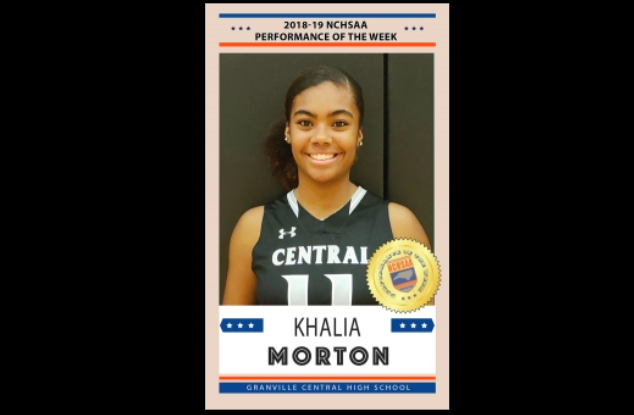 Khalia Mortan from GCHS is a recipient of the NCHSAA Performance of the Week award! Click on the image for the full article!